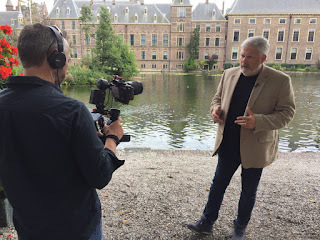 Euthanasia Prevention Coalition Euthanasia Prevention Coalition: Fatal Flaws Film: Legalizing Assisted Death (Early preview). Fatal Flaws Film: Legalizing Assisted Death (Early preview). Should we be giving doctors – or anyone – the right and law to end the life of another human – and how do these laws affect society over time? 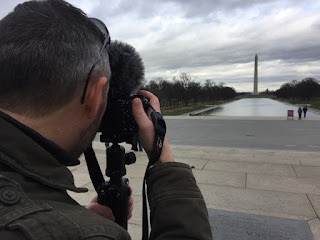 As a producer/director with over 30 years experience, my work has been seen on broadcasters like the Discovery Channel, History UK, ARTE France and Germany, SBS Australia, CTV, CBC and Global TV in Canada. Over the years I’ve produced a number of independent “passion” projects, but none to the size and scope of Fatal Flaws. I’m about to tell you why. Just over a year ago, my country (Canada) passed laws that allow for an assisted death under certain criteria. Within months these laws have been challenged, arguing that they were too restrictive. I had heard about the ever expanding euthanasia laws in Belgium and The Netherlands which now include euthanasia for children, for people with psychiatric problems – and just as disturbing – a report that over 1000 people in Belgium were euthanized without consent in 2013. And it was all on public record. So why weren’t we hearing about these things in the media on this side of the pond? Shouldn’t these facts be raising alarm bells? Some 20 years after these laws were introduced, even some of the most staunch supporters of assisted dying are questioning where these laws are taking us. 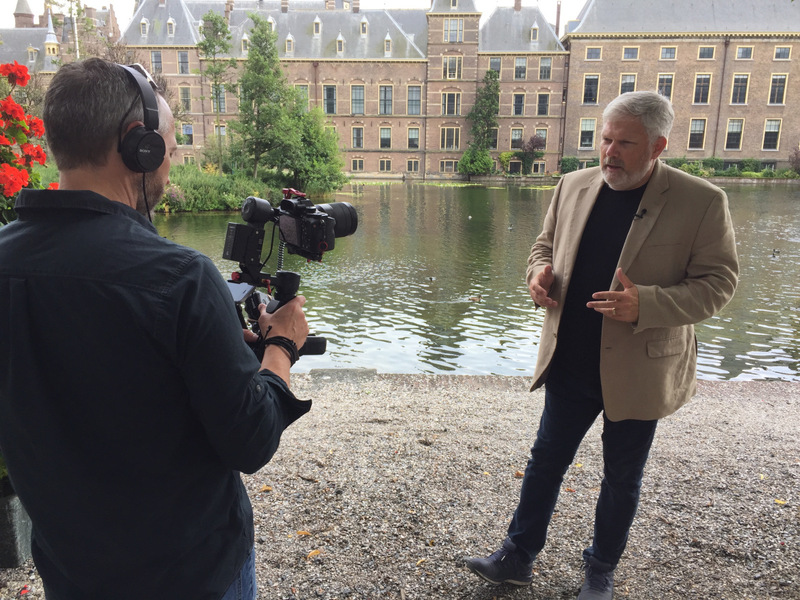 The grandfather of euthanasia in the Netherlands, Dr. Boudewijn Chabot speaks of a ‘worrisome culture shift’ and that euthanasia is ‘getting out of hand’ – especially as it relates to patients with psychiatric issues. I asked a prominent author and journalist in The Netherlands if there’s anyone telling the other side of the story. He paused and said, “no one”. I decided then and there that this film had to be made. 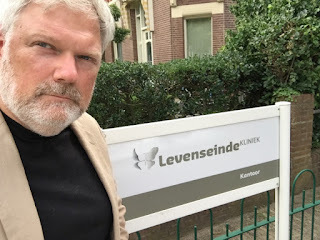 In what was the most surreal 7 days of my life, my crew and I traveled to The Netherlands for their annual “Euthanasia Week.” Yes there is such a thing. As part of the week long events, they had a conference for seniors and – believe it or not – a youth conference to discuss euthanasia related issues. Much of the discussion was around a government bill called “The Completed Life” where otherwise healthy people who are ‘tired of life’ could ask for a lethal prescription. To me it all sounded like a futuristic novel. Except it’s happening now and in real time. We’ve all heard the tragic and much publicized stories of people who have asked for an assisted death here in North America. Heartbreaking cases. Some of these cases have made their way to the top courts of the land to overturn longstanding criminal laws on what used to be classified as homicide. Since 1998, five countries and six US states have laws making an assisted death legal under certain criteria. Victoria, Australia is the most recent jurisdiction to adopt such a law – one that passed by two votes. Almost every country in the world is discussing some form of legalization and America is “at a tipping point”. I’ve traveled around the globe learning about the rationale behind these laws from people on both sides of the issue. I’m told that it’s about personal autonomy and choice, however if you ask others I’ve interviewed in the film, they will tell you that ‘choice’ is an illusion and that these laws are an invitation to abuse. People have come forth with stories of elder abuse, coercion by family members, by doctors and nurses. Some of these stories have led to death by lethal injection or assisted suicide. I’ve interviewed people with a disability whose ‘quality of life’ was deemed unworthy of living by doctors who have a severely warped sense of compassion. These stories trouble me deeply. Time for a disclaimer. This film is not out to demonize doctors, advocates – or anyone for that matter. In fact, most doctors want nothing to do with assisted death. However a small minority do, and the number is growing. Rather, this film is about the growing adoption of a new cultural philosophy, one that has the potential to wreak havoc on society’s vulnerable. And let’s face it, we are all vulnerable. The film will endeavour to be fair to both sides. However, I will make no apology for showing the ugly reality of the ramifications of these laws. While some feel these laws are progressive, others bear witness to the irreversible emotional scars on individual lives and families. It’s high time the world heard both sides of the story. Between The Euthanasia Prevention Coalition, and my own contributions through DunnMedia & Entertainment, we’ve been able to take the film this far. We have a few more shoots in the USA and then it’s on to writing, editing, paying for music and footage rights and of course distribution around the world. We need just under $100,000 to complete the film. Please consider making a donation by clicking HERE!